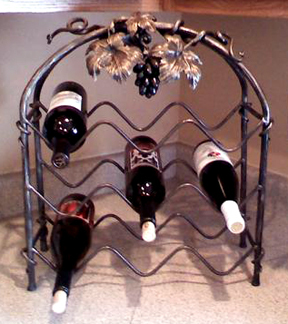 This is a gorgeous wine rack embellished with grapes and leaves. It fits underneath standard cupboards. Has 3 tiers and holds 9 bottles. One bottle would be a small size to fit under the grapes.